Temples across the North Shore are proclaiming: Let there be music! The Soul Sisters, the all-female band of Temple Emanuel in Andover. JUNE 7, 2018 – Walk through the halls of Temple Emanuel of Andover on any given day, and chances are you’ll hear music coming from somewhere. It’s not always the kind of music you’d expect at a temple. Often at the end of Shabbat services, you’ll hear “Sounds of Silence” by Simon & Garfunkel. On Hanukkah, you might hear a mariachi band, a rap group, or “Stayin’ Alive” by the Bee Gees. Simple math proves his point: when bands are part of the Shabbat services at Emanuel each month, Irelander estimates that turnout increases by roughly 100 people. Temples across the North Shore agree with Irelander, and in recent years, many have added their own bands.  But there is a reason this is only a recent phenomenon. Although the idea of a band playing guitar or saxophone during a Saturday service is no longer so controversial among Conservative and Reform congregations, for much of Jewish history, it would have been unthinkable. Elana Rozenfeld, who will leave her post this month as cantor of Congregation Shirat Hayam in Swampscott, leads the renowned Ruach Band that has concluded Saturday morning Shabbat services with a reggae version of “V’Shamru.” She said some newcomers were surprised at first by what they saw. In Andover, Temple Emanuel’s bulletin posted a notice in 2012 asking musically inclined congregants to start a band and since then, several acts have formed. The original band, the Abbas, is an all-male instrumental group that plays drums, bass, guitar, and saxophone. 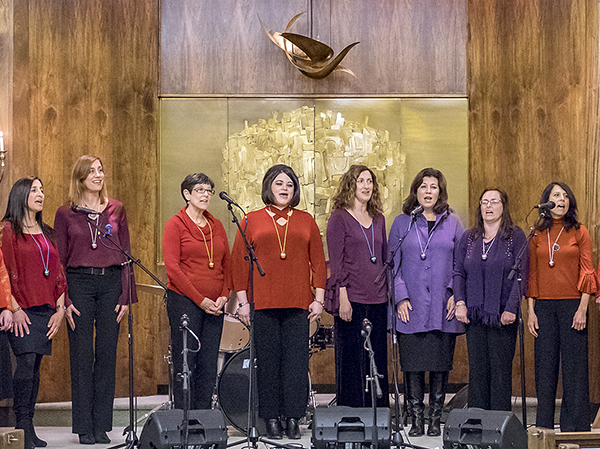 The female counterpart is a singing group called the “Soul Sisters,” who are directed by Israeli soloist Gitit Shoval. Shoval often accompanies them on the piano. There is also an adult choir, a junior choir, a youth band called the “Sababas” (after the Hebrew word for “cool”), and the “Jew Jam,” an informal musical jam session. These bands play music that spans different eras and continents: from original compositions by Irelander, to traditional Sephardic melodies, all the way to the Bee Gees. “Any time you add music, you beautify whatever’s going on,” said Irelander. Temple Sinai band plays at a benefit for the Manna Food Center, a national food bank. More traditional Jewish services don’t include bands because instruments are associated with the Second Temple, where they were an integral part of worship. From the destruction of the Second Temple until the 19th century, virtually no instruments were permitted in Jewish worship. The introduction of the organ to liberal synagogues in Europe and the United States represented the first shift toward the bands of today. “The idea of the organ was to create a certain kind of ambiance that was seen as conducive to worship, to awe, and an organ would keep everyone in the same key and drown out cacophonous music,” said Jonathan Sarna, professor of American Jewish History at Brandeis University. Alle Brider (All Brothers) of Temple Ahavat Achim in Gloucester dress up for a Purim celebration. The expansive, airy sanctuary at Shirat Hayam is often full of big, joyous sounds. Shirat Hayam’s Ruach Band usually includes eight people on drums, electric guitar, piano, and harmonica. The band completes every Saturday service with a medley of traditional Jewish prayers, Israeli folk music, and music from the Jewish-American reggae vocalist, beat-boxer, and alternative rock musician Matisyahu. Congregants are encouraged to join in, and young children often rush up on stage. 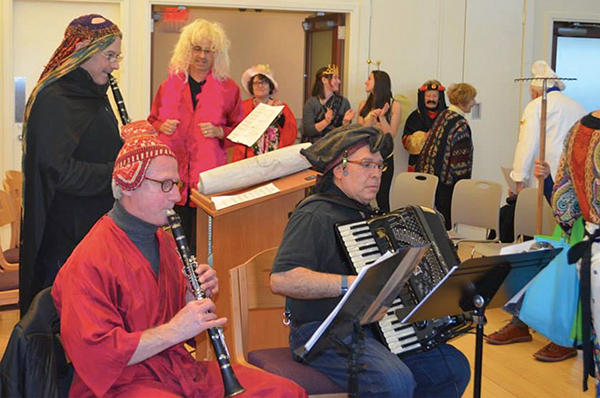 The band puts on major performances at Purim and Passover that include songs with Jewish themes set to modern tunes. 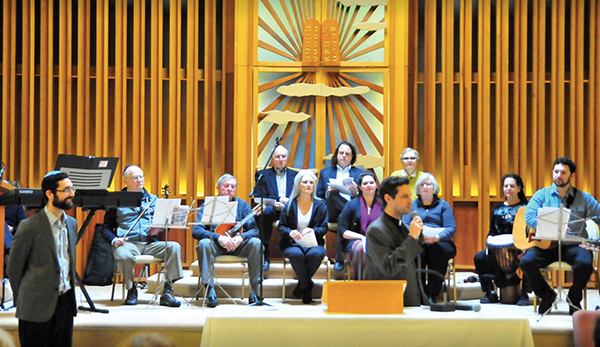 Down Atlantic Avenue at Temple Emanu-El in Marble­head, Rabbi David Meyer and music specialist Jon Nelson enrich weekly services with songs, guitar, and drums. Meyer and Nelson have been playing together for nearly a decade, and have released several CDs. Emanu-El also hosts a “Music Neighborhood,” a diverse group of 30 people who range in age from eighth grade to 80 years old, that gets together once a month and helps lead services twice a month. Music Neighborhood members have played at nursing homes, Hanukkah events, and have hosted a “Fiddler on the Roof” singalong movie night. From atop Community Road, you might hear the sound of a violin. Three years ago, Rabbi David Cohen-Henriquez of Temple Sinai formed a seven-member band that plays drums, accordion, guitar, bass, and violin. The band plays roughly once a month at events such as Havdalah and Sukkot services or a Sunday morning brunch. At 10 a.m. on Sunday, June 24, the band will perform a medley honoring Jewish-American songwriters from Bob Dylan to the Ramones. In Gloucester, Temple Ahavat Achim boasts a 10-member band known as Alle Brider, named after the well-known Yiddish folk song meaning “All Brothers.” The band plays a diverse array of instruments, from the keyboard to the banjo to the steel drum to the clarinet to the mandolin. They play at Kabbalat Shabbat services on Friday nights, and holidays such as Purim and Hanukkah. The band plays an eclectic mix of music that Rabbi Steven Lewis describes as “familiar without being stale,” for example, “Shalom Aleichem” set to several different tunes.